The southeastern Chinese city of Xiamen is all set to host leaders of the five BRICS countries: Russian President Vladimir Putin, Brazilian President Michel Temer, South African President Jacob Zuma and Indian Prime Minister Narendra Modi. 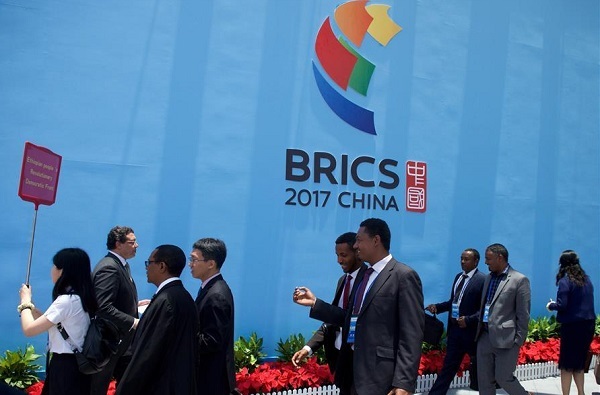 The 9th annual BRICS summit is being held from Sept. 3 to Sept. 5. Showcasing the importance of the event, India and China ended a months-long military standoff in the Himalayas days ahead of the summit. “I look forward to productive discussions and positive outcomes that will support the agenda of a stronger BRICS partnership under the chairmanship of China,” Indian Prime Minister Narendra Modi said on Saturday in New Delhi. Chinese President Xi Jinping is attending a two-day BRICS Business Forum that begins on Sunday. The BRICS business forum is expected to gather a record 1,200 participants, including representatives from nearly 80 Fortune 500 multinationals, said Jiang Zengwei, head of the China Council for the Promotion of International Trade, at a press conference. Leaders from five other emerging markets and developing countries — Egypt, Guinea, Mexico, Tajikistan and Thailand — will attend the Dialogue of Emerging Markets and Developing Countries during the BRICS summit. BRICS account for 43 per cent of the world’s population and 23 per cent of the global economy. The Summit will focus on the state of the global economic recovery, intra-BRICS trade and a greater role for emerging economies in the international financial architecture. The Xiamen Declaration and Action Plan will be agreed on by the five leaders after intensive discussions over the next two days. A common approach towards fighting protectionism blighting global trade and also the battle against terrorism in Syria and elsewhere will feature in the final communique.